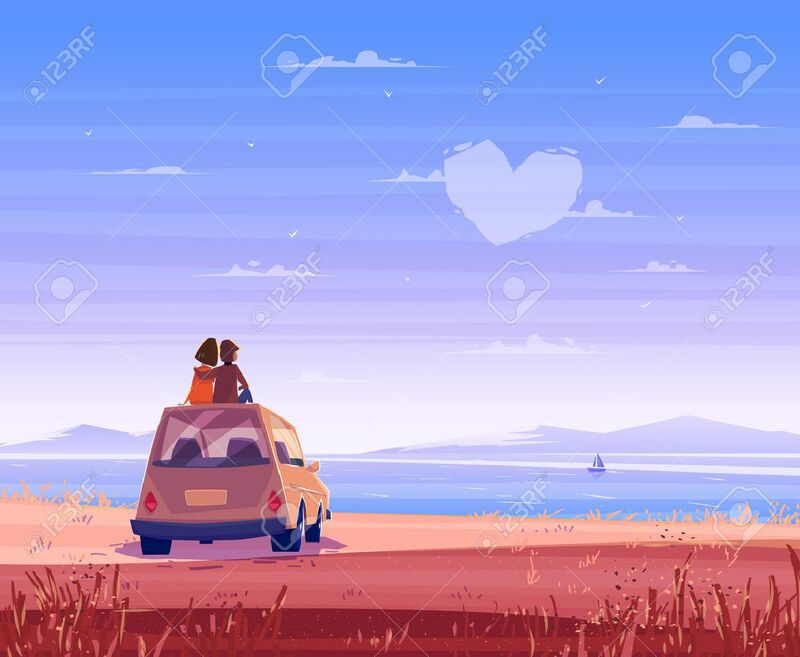 Two Happy Lovers Sitting On The Roof Of The Car And Look At The Sea. Modern Design Stylish Illustration. Retro Flat Background. Valentines Day Card. Royalty Free Kliparty, Vektory A Ilustrace. Image 50571073. Reklamní fotografie - Two Happy lovers sitting on the roof of the car and look at the sea. Modern design stylish illustration. Retro flat background. Valentines Day Card. Two Happy lovers sitting on the roof of the car and look at the sea. Modern design stylish illustration. Retro flat background. Valentines Day Card.